Making a career choice may be easy for some; but for many school leavers making such an important choice can be very daunting and even worrying. Many school leavers end up choosing careers without properly understanding what they entail or what the coursework involves. 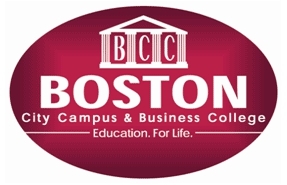 As a leading provider of tertiary education in South Africa, Boston City Campus & Business College, believes that just offering degrees, diplomas and courses is only half of its job – the other half is ensuring that its students have the knowledge and support to make the right career choice. Through its career guidance tool called “Career Compass”; Boston provides prospective students with the opportunity to discover more about themselves, their talents and what kind of careers they would be best suited to. The Career Compass was developed by Avron Herr, Managing Director of Pace Career Centre. The tool is a generic career guidance tool that was developed a number of years ago by Herr and then further developed and updated regularly, specifically for Boston. Herr explains that the Career Compass is a self-exploration tool rather than a psychometric test. A self-exploration tool allows the user to self-direct towards a suitable career, whilst a psychometric test on the other hand looks at personality, aptitude, values and other factors and the results of which need to be evaluated by a psychologist. Self-exploration methodology is widely used in the career guidance field. ‘The Career Compass is easily accessible to people through Boston. The career compass allows the individual to complete a number of simple questions relating to one’s interests, values and ambitions,’ explains Herr. Results are available immediately and are produced in the form of a graph that ranks the individuals results from the most suited career options to the least suited career options based upon the individuals interests. What is important says Herr is that the Career Compass is designed to steer people in the direction of careers which incorporate their interests and this is important as it has been proven that students are more likely to succeed and pass if they are studying subjects that they enjoy. Career Compass and pre-career guidance is imperative in helping students make the right choice before they start studying. The Career Compass questionnaire is further supported by qualified study counsellors who are trained to offer further career and study guidance and support. This is a free service offered by Boston City Campuses and takes about 20 mins to complete. Tell you what your interests are. Confirm your career choice OR offer alternatives to your first choice of studying. Suggest career options you may not have thought of. Provide insight into what your values are and what you want out of a career. Pop into the nearest Boston City Campus for this free service!